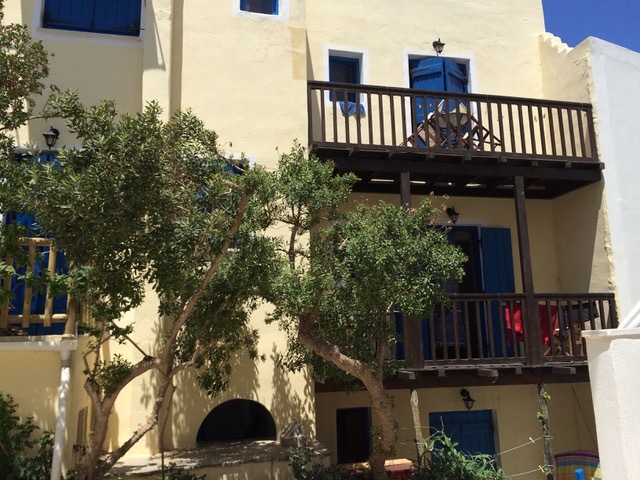 The little boarding-house "Pension Kastell" is situated on the back side of the dominating castle ("Kastell"). 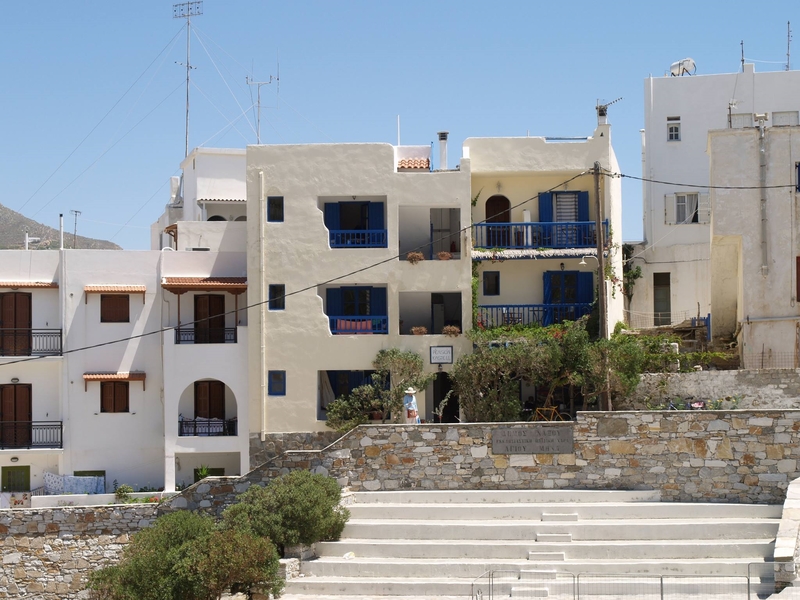 Removed from the main roads, you can reach the points of interest (the harbour and its promenade or the beach) quickly through the narrow streets of the old town. 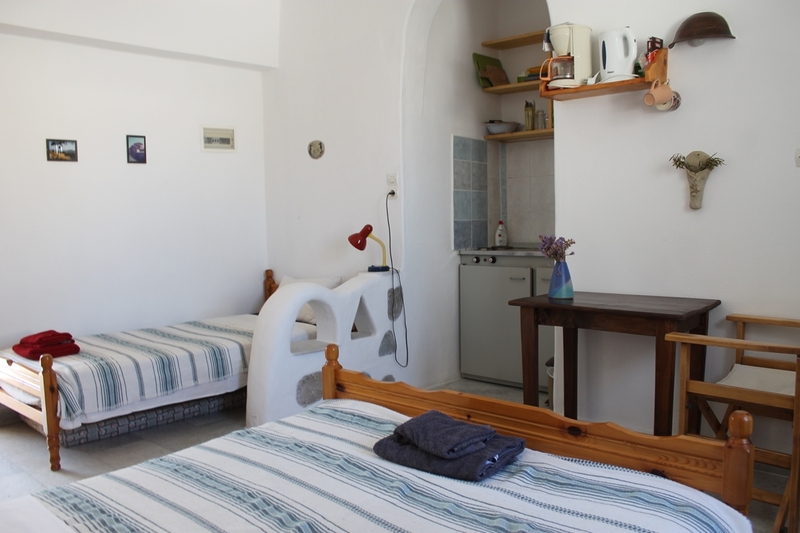 Pension Kastell offers doubles and rooms with three beds as well as studios with a little kitchen. 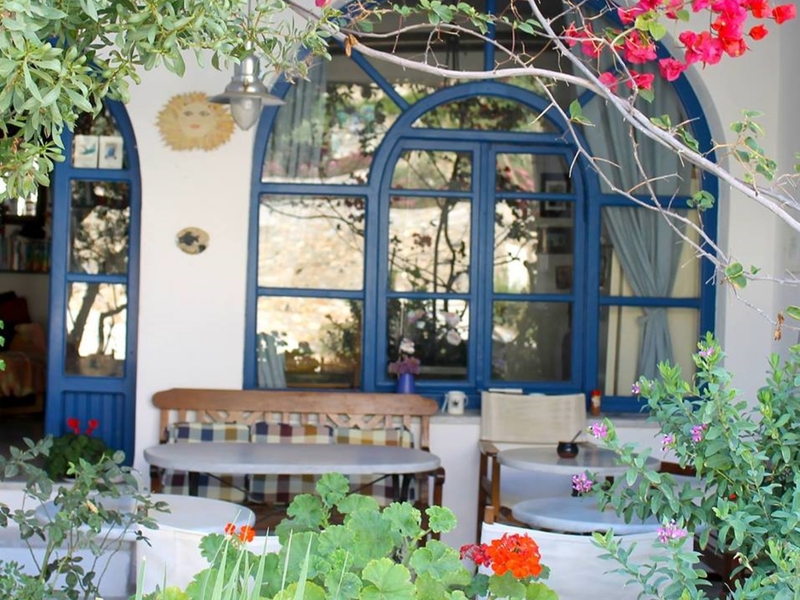 The terrace or the roofgarden are attractive places for breakfast or some wine in the evening. 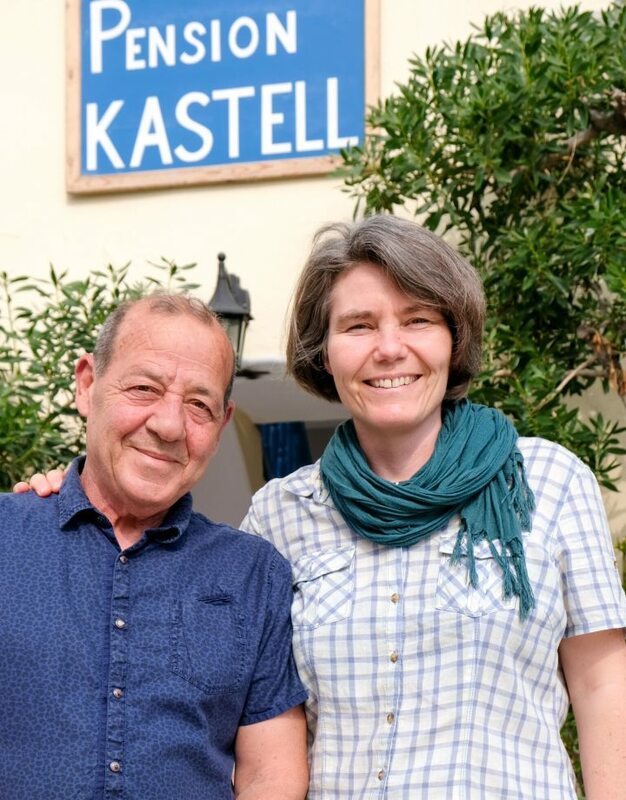 Nikos Katsaras and his German wife Nicole run the Pension Kastell in a warm and homely way. They will help you with whatever problems or questions occur. Free Wi-Fi available on common terrace and all the rooms. 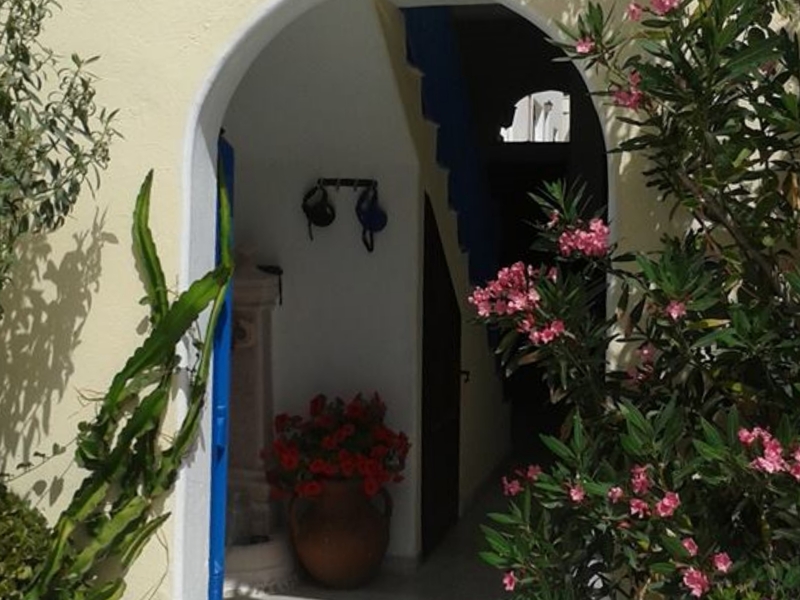 Pension Kastell offers a free transfer from and to the harbour and airport. 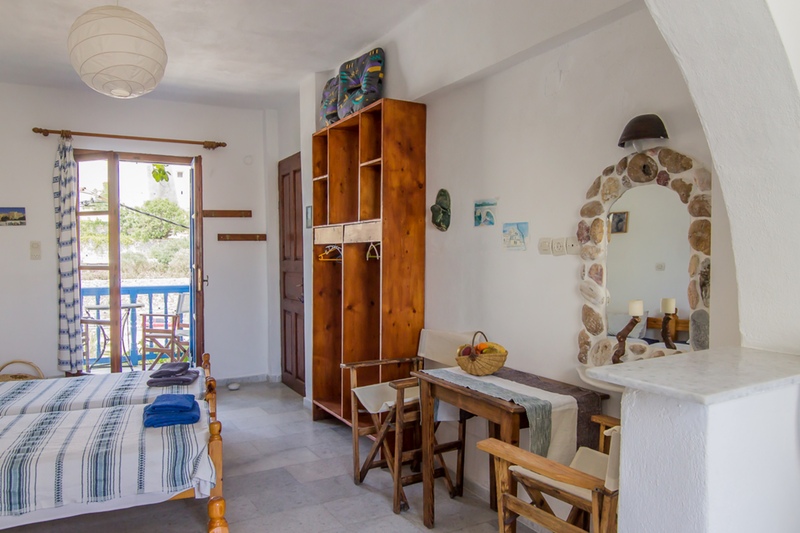 Pension Kastell offers doubles and rooms with three beds as well as studios with a little kitchen. All rooms have a balcony and a seperate bathroom. 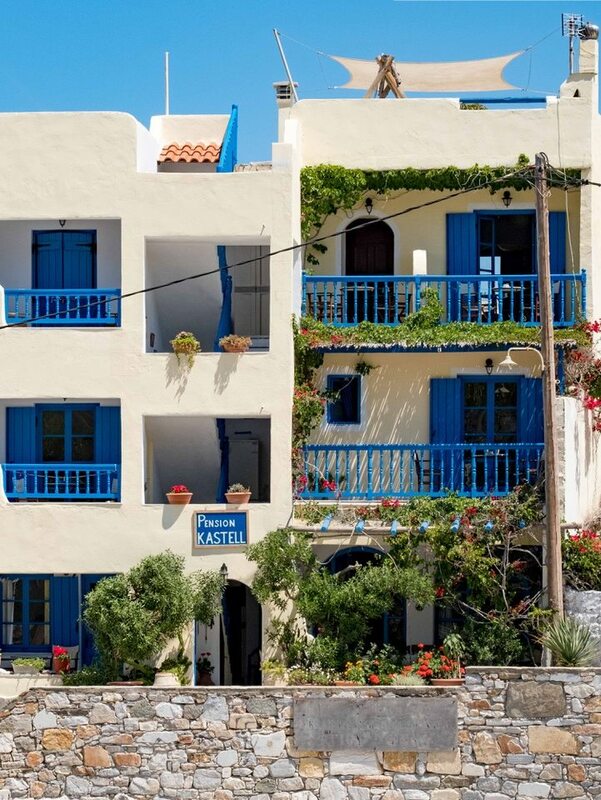 Naxos is the largest and greenest island of the Cyclades. Therefore it is often called the “happy island”. 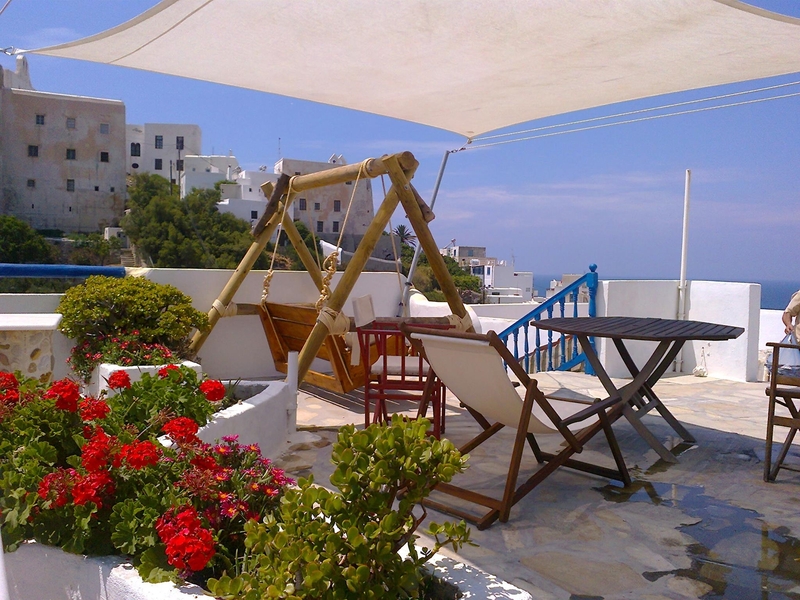 Here you can breathe the spirit of Greek mythology and history. 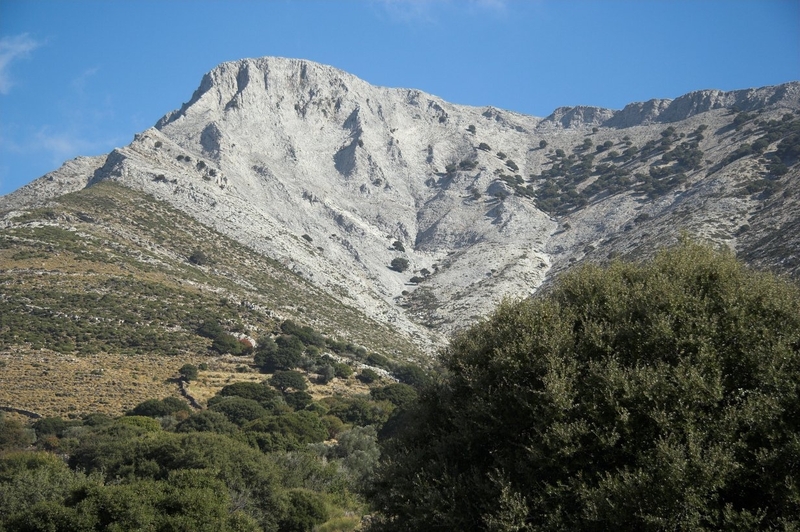 Naxos’ nature offers many variations. There are fertile plains and barren highlands, interrupted by gorges densely covered with vegetation that lead to small idyllic sandy beaches. 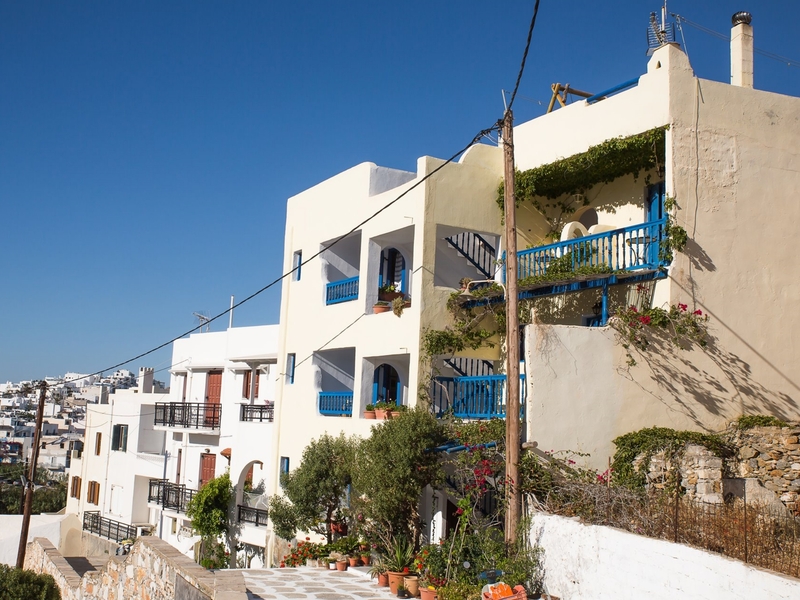 You can reach Naxos via plane from Athens or with one of the many ferry-boats departing from Piraeus/Athens or Santorini. 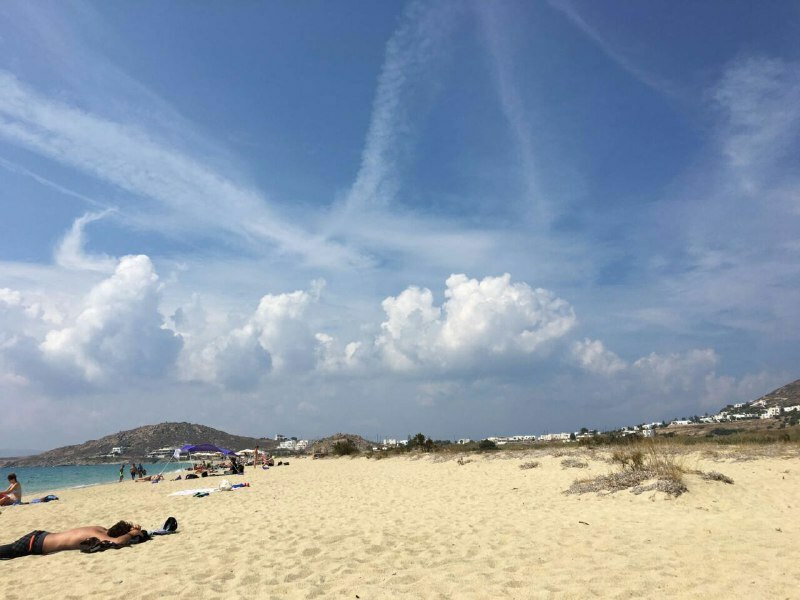 There are also good connections from Crete and Mykonos varying throughout the seasons. It is highly recommended to check the route in advance..